other information Wooded Hill Recordings HILLCD 13, 1997. Liner notes to this reissue by Colin Harper. 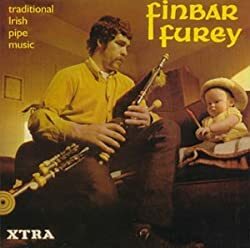 Tracks 1 through 13 are a rerelease of Finbar Furey's solo album Transatlantic XTRA-1077, 1969, which "appeared early in 1969." Tracks 14-17 are selected tracks from Finbar Furey and Eddie Furey's self-titled duet album Transatlantic TRA 168, 1969. The liner notes for this CD reissue claim that these extra tracks are from their Lonesome Boatman album, which was also released on Translatlantic in 1969, but OCLC records clearly contradict that claim. Cf. OCLC 58801016 vs. OCLC 58748375.